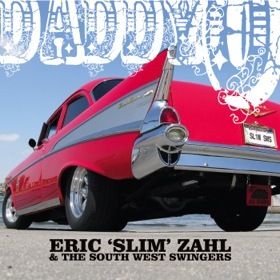 Eric "Slim" Zahl & The South West Swingers are Spellemannspris (Norwegian Grammy) nominated for their debutalbum "Daddy ´O" in the Blues category. The album has so far only been available at the bands gigs, through their website and on some digital platforms. The album is now available in CD format through our distributor Cosmos Music Norway and in onlines hops, both physical and digital. Blues is a narrow term in regards to what this band is all about. Dressed in neck ties, suspenders, and sneaky shoes, these guys are slammin´ every venue they appear at with their performance of cool rockin´blues with touches of jazz and thumpin´ rockabilly.